Toronto: City of the Future? fDi Magazine (part of the Financial Times group) awarded Toronto the distinction as the runner-up (to Chicago) for the award of Major North American City of the Future. Judging criteria was based on economic potential, cost effectiveness, human resources, quality of life, infrastructure, business friendliness, and foreign direct investment promotion strategy. Cities were asked to provide data and qualitative information in much the same way as investors approach locations during the screening process used to decide which are suitable for capital investment projects. Toronto’s high placing was a result of good, affordable housing, low crime levels, strong health and education sectors, and falling unemployment. Toronto also has a strong and innovative environmental programme and it topped fDi’s shortlist with the best quality of life of any major city. Although this report was published more than a year ago, the competition happens only every other year, so this is the most recent ranking. 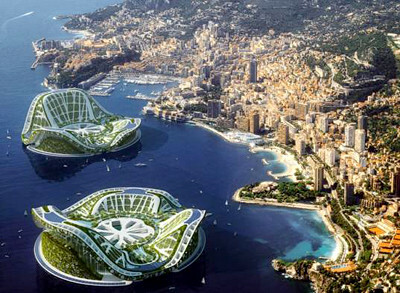 Above photo from Vincent Callebaut Architectures.